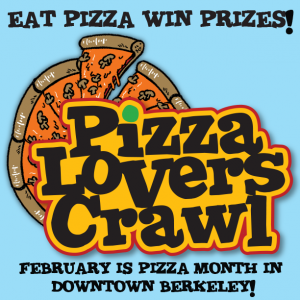 Pizza LOVERS Crawl February 2019, Downtown Berkeley February 2019 is Pizza LOVERs Month! To celebrate, bring your friends and join in on the Pizza LOVERs crawl, where you can get your very own Pizza LOVERs punch card, tour the local downtown pizzerias, and WIN PRIZES! More info here!